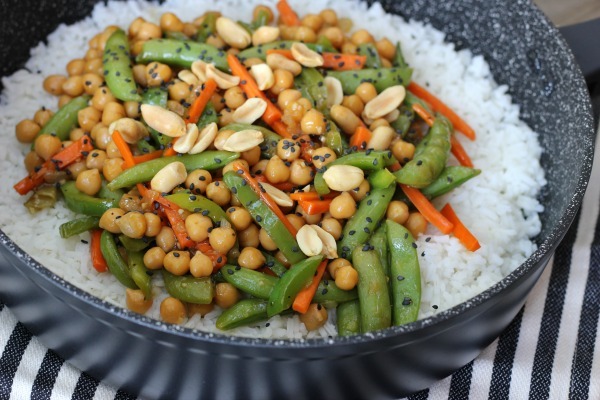 Chickpea vegetarian stir-fry is a quick and easy meal, especially good for meatless Monday! Sunday and the meal will come together even faster. 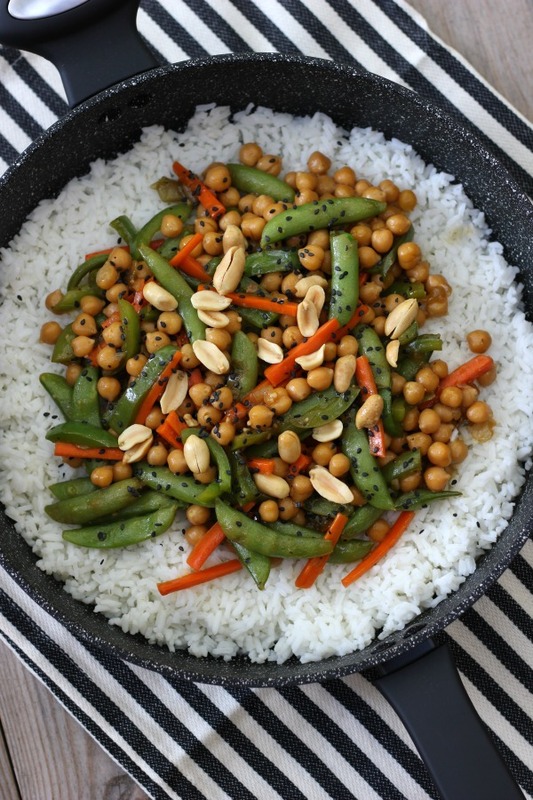 I made this vegetarian stir-fry in my new 11" forged aluminum sauté pan from Zyliss Cook. to test it out. It worked great and clean up was a breeze! but I prefer to sauté in a little olive oil. 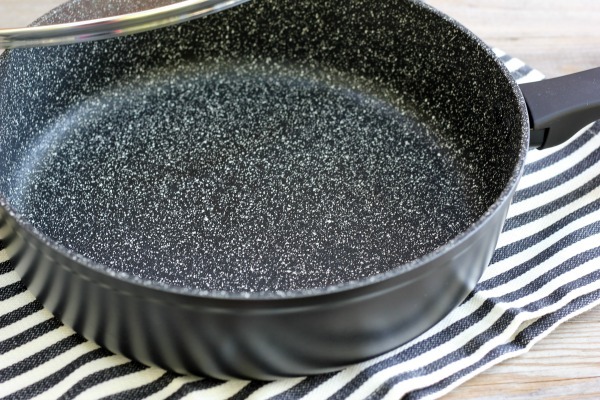 The pan is really large and I love that it comes with a clear glass lid! In a large skillet heat olive oil over medium heat. Add the onions and sauté until soft. Add garlic, carrots, peppers and sugar snap peas. 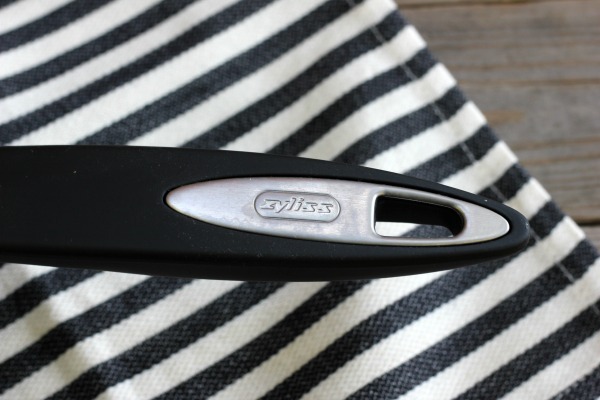 Stir together and cook for 3-4 minutes. until vegetables are tender, but still crisp. Season with salt and pepper. Serve over rice or quinoa. 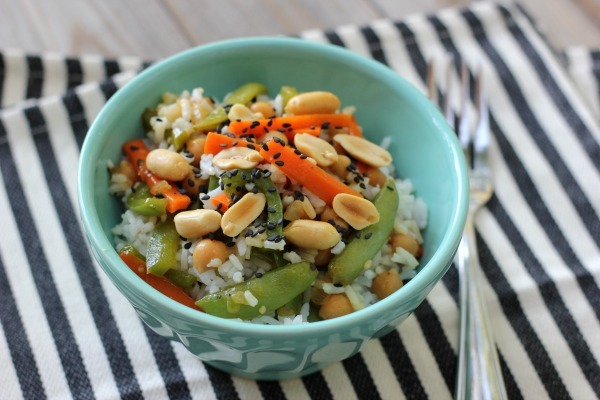 Garnish with peanuts and black sesame seeds.